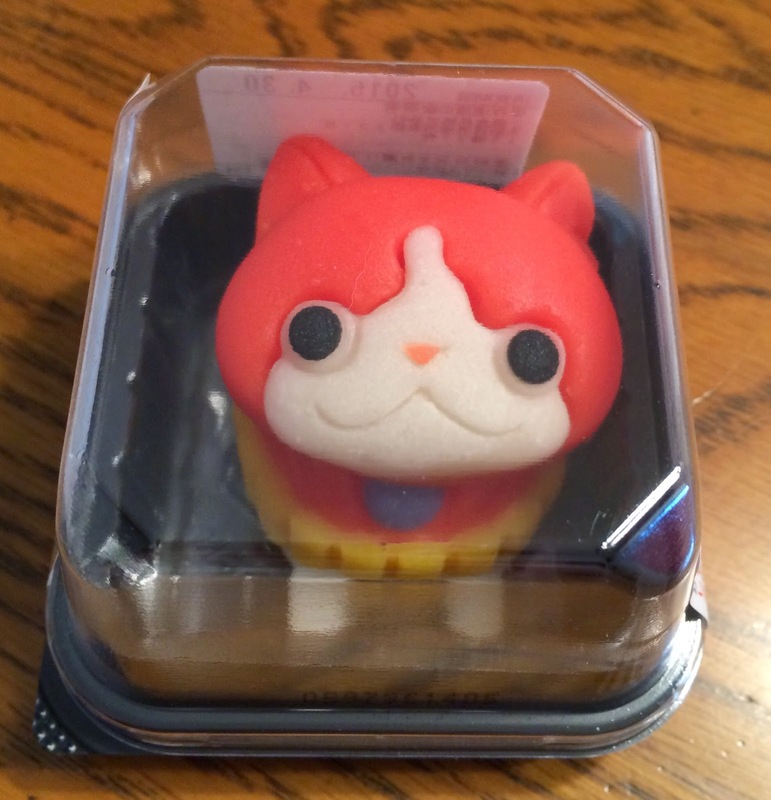 While I'm traveling to somewhere, I usually check some new and limited products sold in the destination(s) beforehand, and this time, I was very looking forward to trying very special pre-launched Japanese traditional sweets collaborated with Yo-Kai Watch on April 29, 2015, today. * However, I still haven't watched any TV series or played any games. 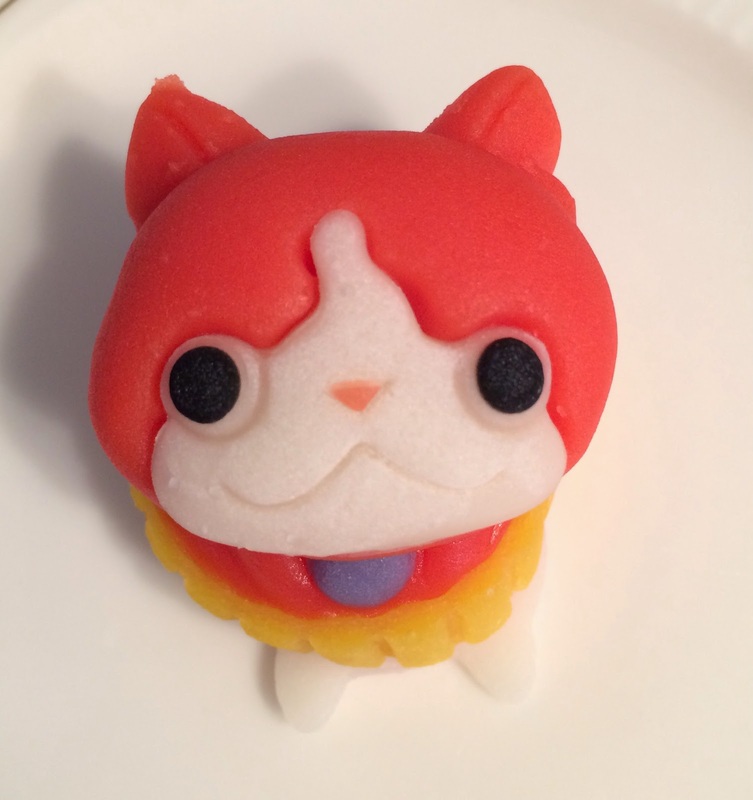 It's called "Tabemasu Yo-Kai Watch," and "Tabemasu" is an abbreviation of 食べられるマスコット (Taberareru Masukotto), edible mascot. 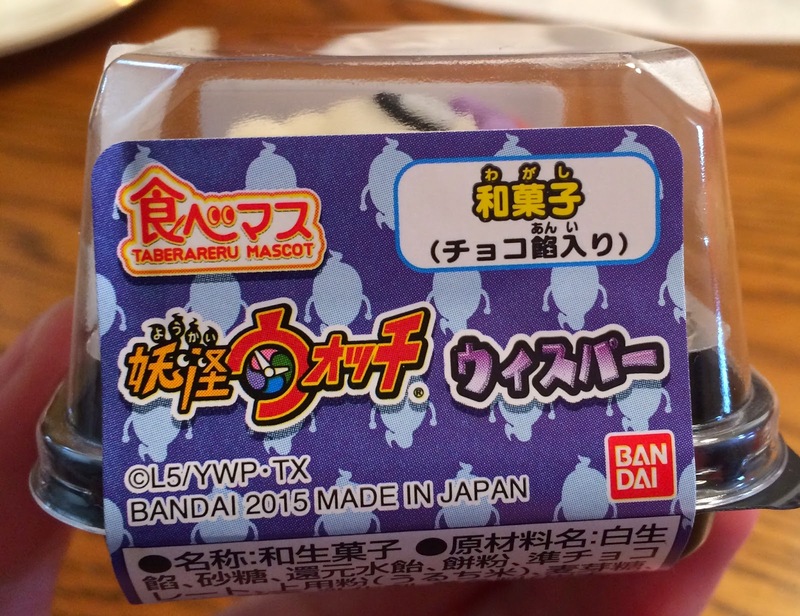 As always, it's produced by Bandai, and a department called "Candy Toy" in Bandai is in charge of this Tabemasu line, and this Yo-Kai Watch is the first series that they've launched. 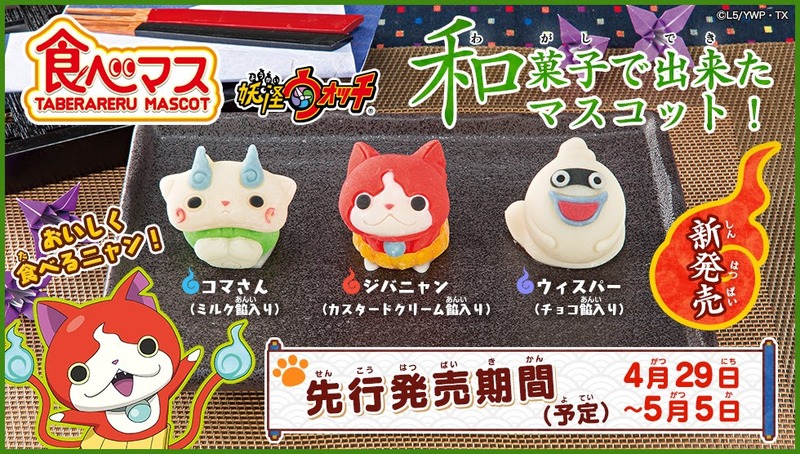 Tabemasu Yo-Kai Watch is made with "練り切り (Nerikiri)", and it's a traditional Japanese confectionery made with sweet bean jam paste, sugar and mochi (sticky rice) powder. It's flexible and easy to form various shapes and motifs. 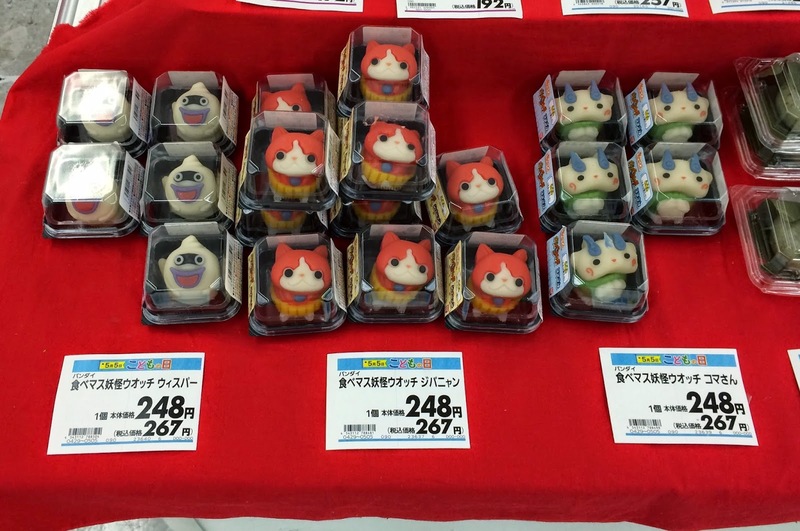 The pre-launch period is from April 29 - May 5, which is a main Golden Wee Holidays, and it's only available at Aeon, the largest retail chain in Asia, but except Okinawa. 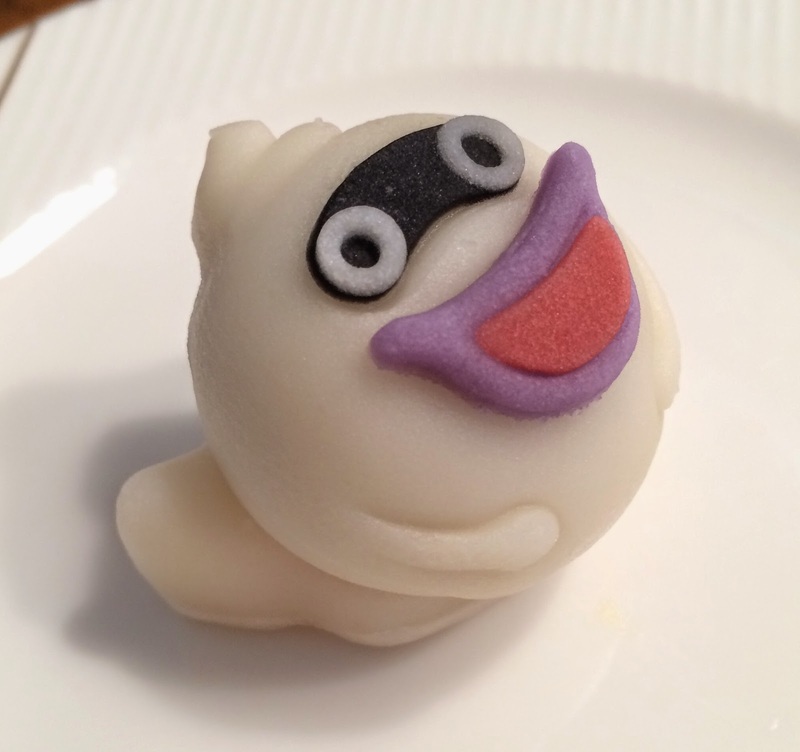 When we arrived at one of the Aeon I go to often before 11 AM, all the Tabemasu Yo-Kai Watch was gone, and they said the next batch might arrived on May 1, but it's only "planned" and not confirmed. They opened the shop at 7 AM, so I guess some hard-core fans were there to buy them. My mom asked if another Aeon would have some left, then one of the employees said that she wasn't sure but maybe the same (=everything would be gone). Though, it's about 15 minutes away by a car, so we just went there with some hope that they might have it because the branch is smaller, not really in the center of the city, and the age group is a bit different. 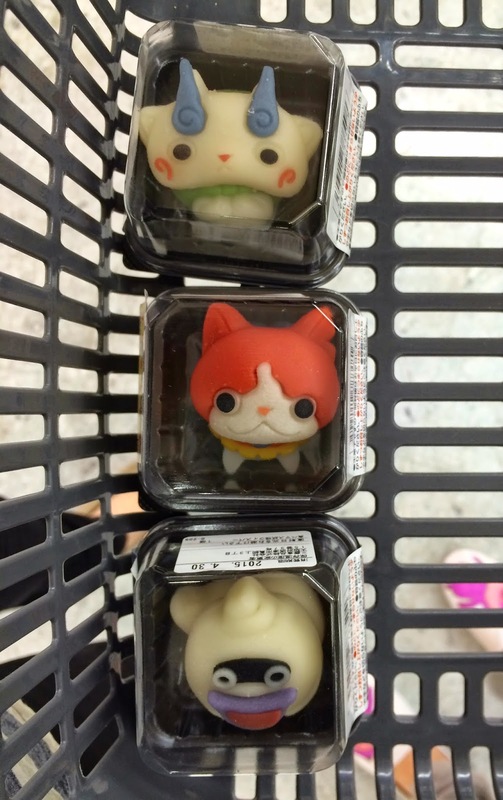 As soon as we got another Aeon, we started trotted off to the Japanese traditional sweets section, and we found some stocks! I'm so glad that I didn't give up and came here by any means. But I'm not a moron to buy them all, so I only picked one each after carefully comparing the faces since some had pupils slightly off. If you plan to buy them all, I'd recommend to bring a paper bag or any bag that has a bottom plate to keep them still and straight because they're very delicate and fragile. As you can see, the stickers are all different depending on the character inside. Even the sticker on the back side had each character's name. 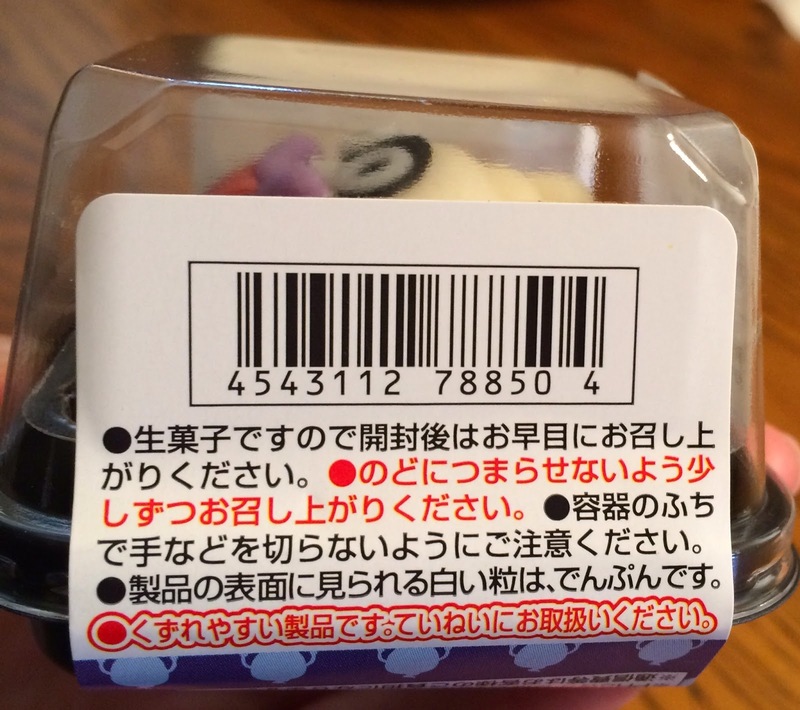 "食べマス Taberareru Mascot" on the left top, and the white box says, "和菓子 (Watashi)," meaning Japanese confectionery. 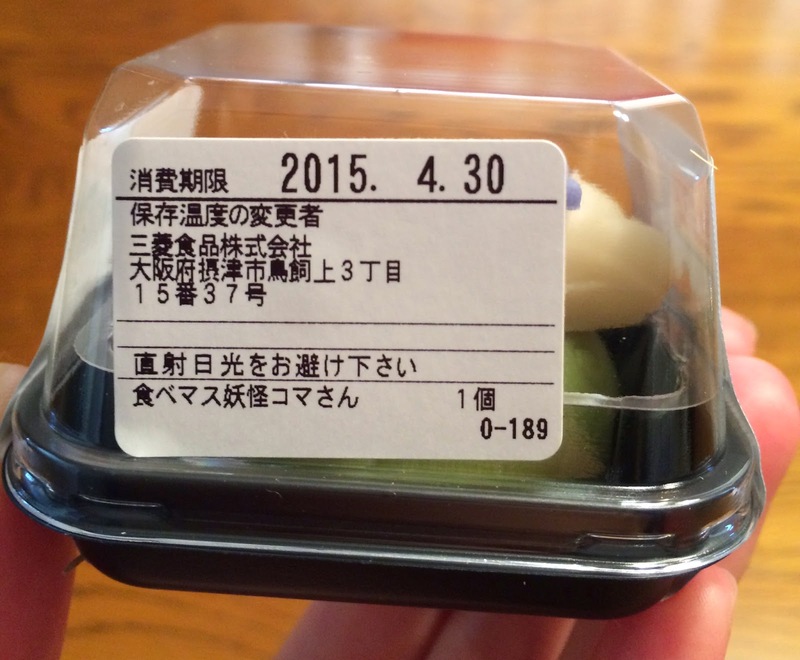 In parenthesis, it says that it contains milk flavored bean paste. 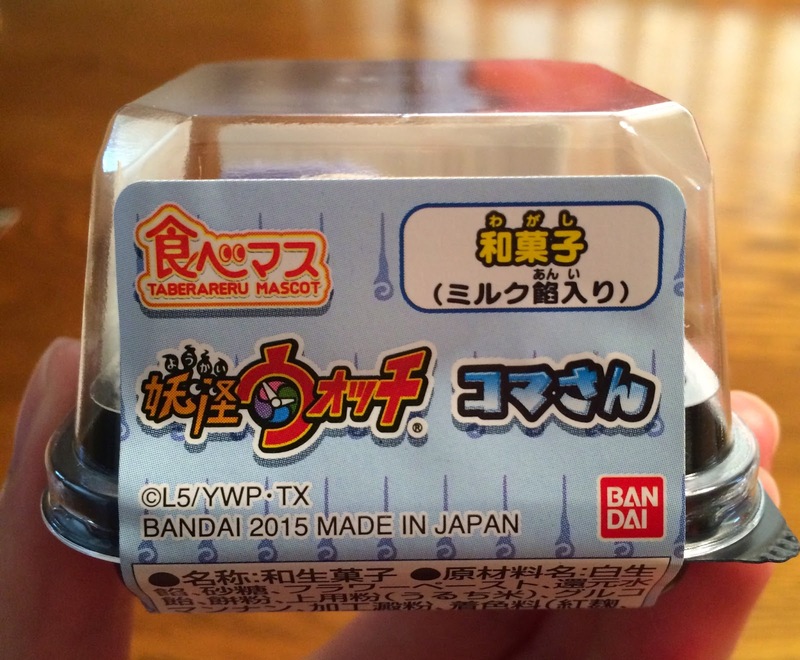 When I took a close look, the pale blue sticker had Komasan's eyebrow pattern, Hitodama. Hitodama (人魂) is floating balls of fire in Japanese folklore and considered as souls of the dead. 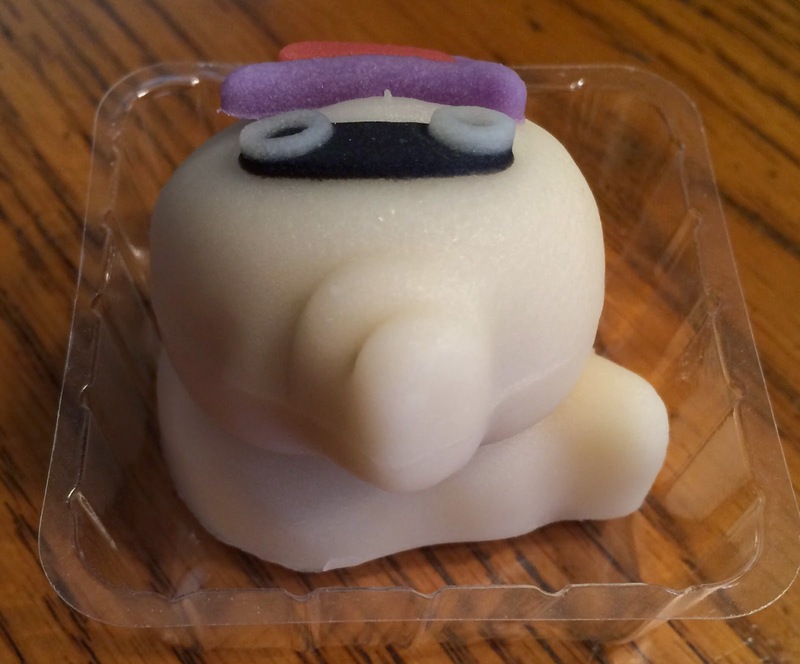 Expiration date: April 30, 2015. 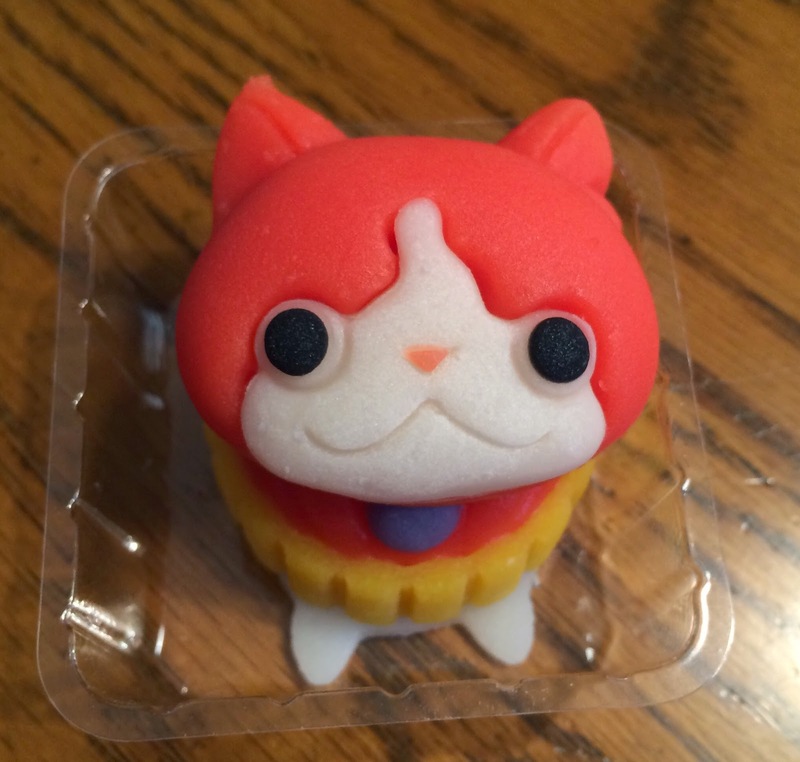 At the very bottom, it says "食べマス妖怪コマさん (Tabemasu Yo-Kai Komasan)." 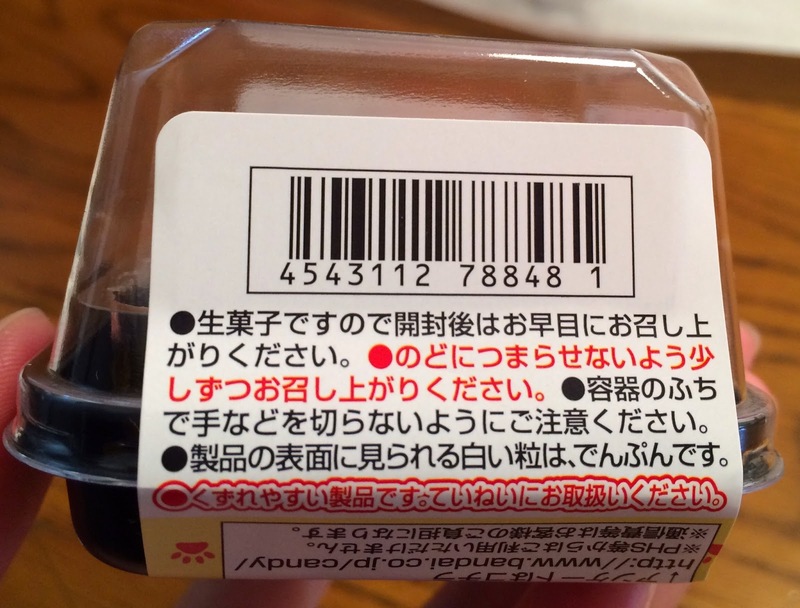 ● This is 生菓子 (Nama-Gashi, unbaked confectionery) and needs to be consumed quickly as it won't keep well for a long time once it's unpacked. 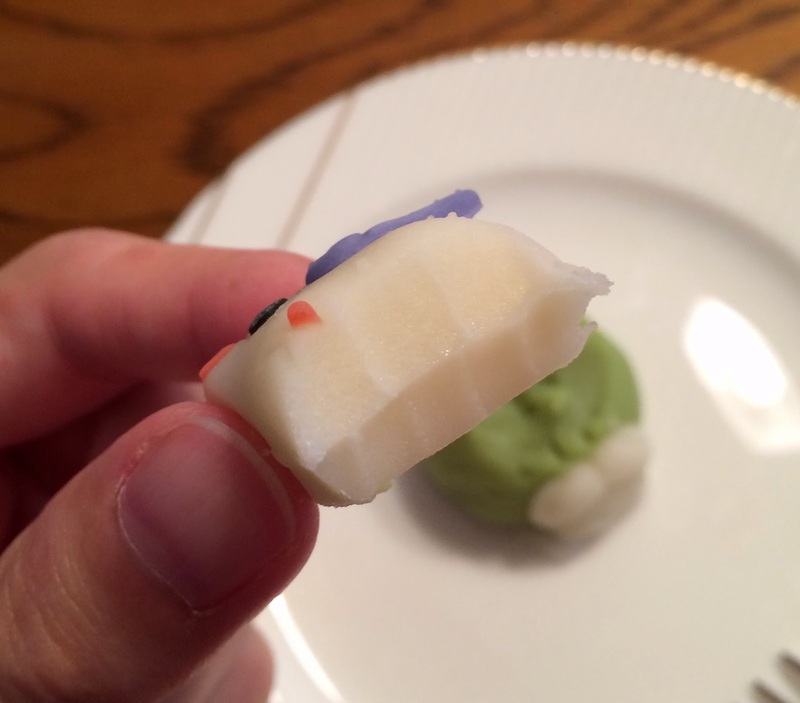 ● To avoid choking, please eat little by little. 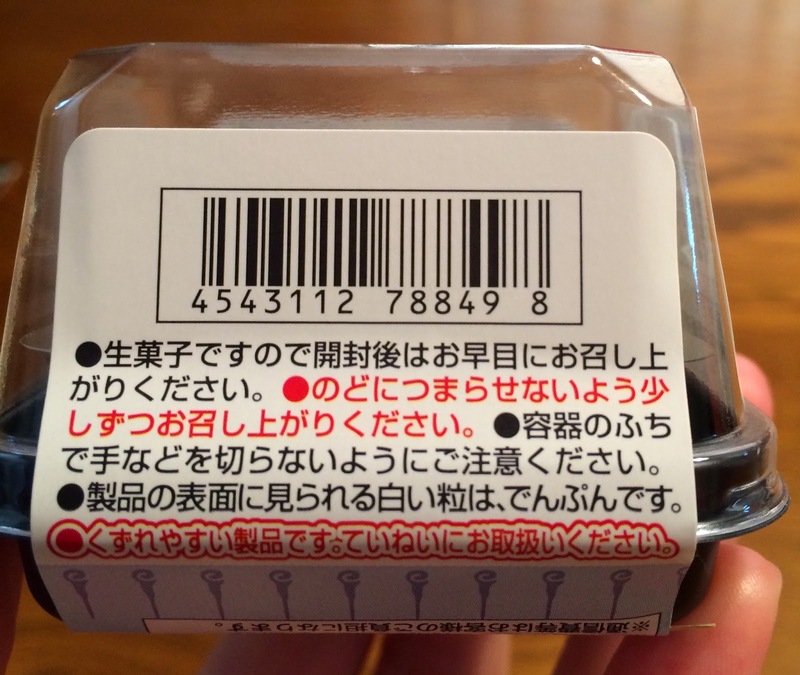 ● Please be careful when opening as the container may cut your fingers. ● White dots on the surface are starch. ● This is very fragile and delicate, please handle with care. 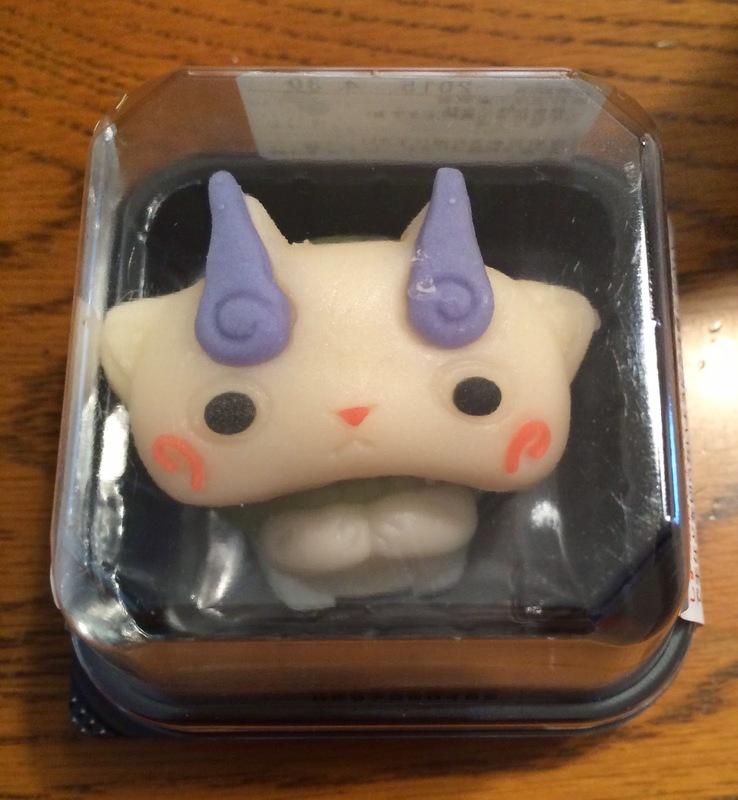 I carefully took off the stickers, and here is Komasan. Can you see the tiny feet at the bottom? It's finely designed and created. The eyebrow wasn't straight but subtly wavy like the real character, but the color was close to purple instead of pale blue. There's another plastic tray inside, so I lifted and removed from the black tray. 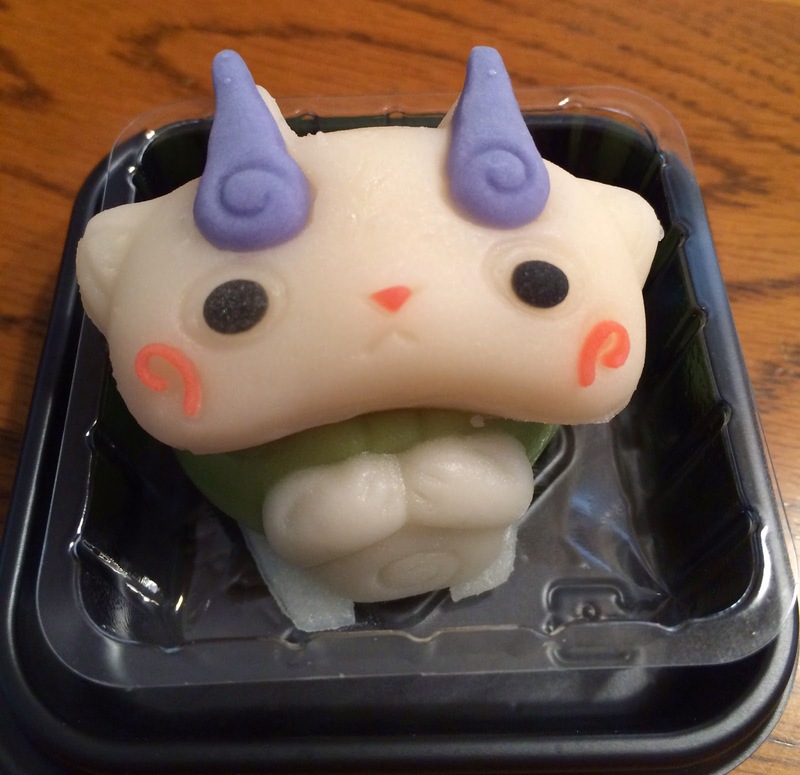 The confectionery was so soft and was stuck on the plastic, so I cut the plastic with scissors and removed Komasan really carefully. And the hands holding the green 風呂敷 (Furoshiki, a wrapping cloth) were absolutely lovely. The Furoshiki had swirl patterns. 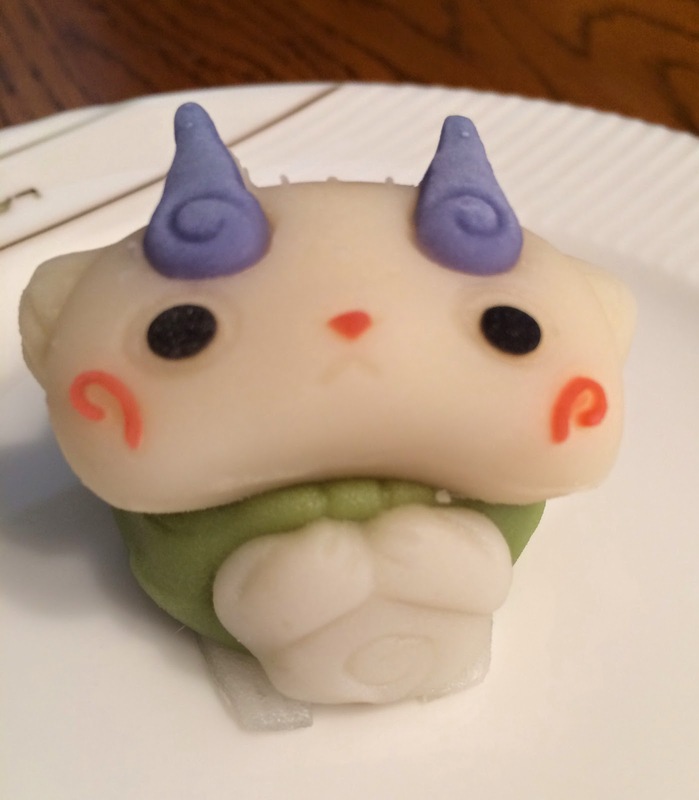 The head was plain strained and smoothened sweet bean paste. 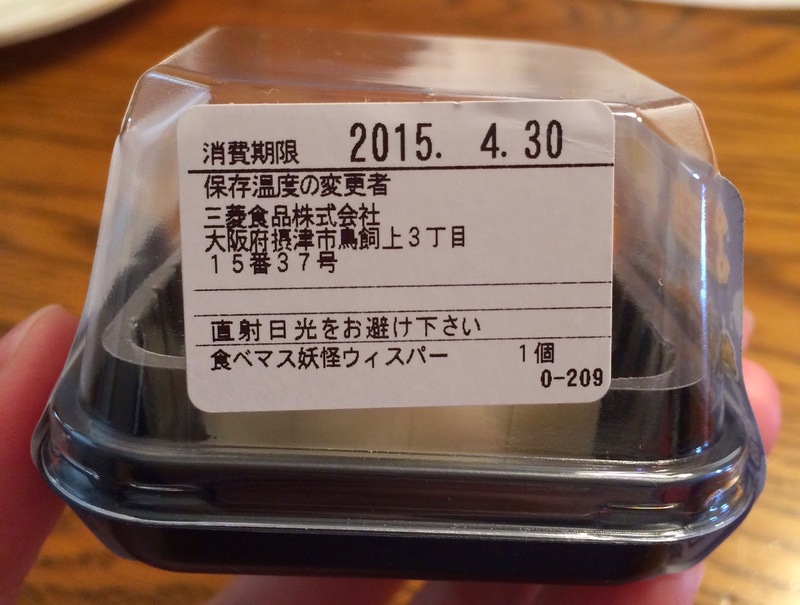 The body part contained milk flavored bean paste which tasted like condensed milk. 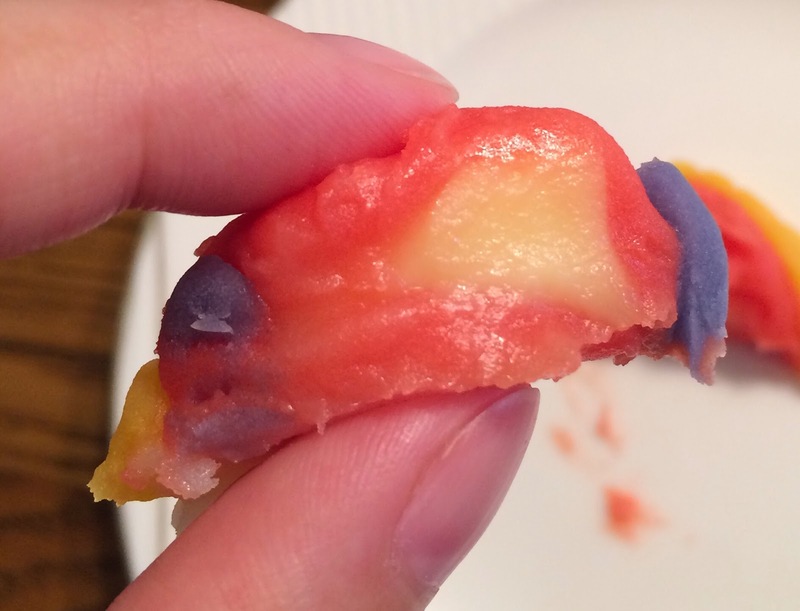 It's Japanese confectionery, but the body part tasted a little bit similar to Western pastry with milk flavored filling while the face was only sweet bean paste. 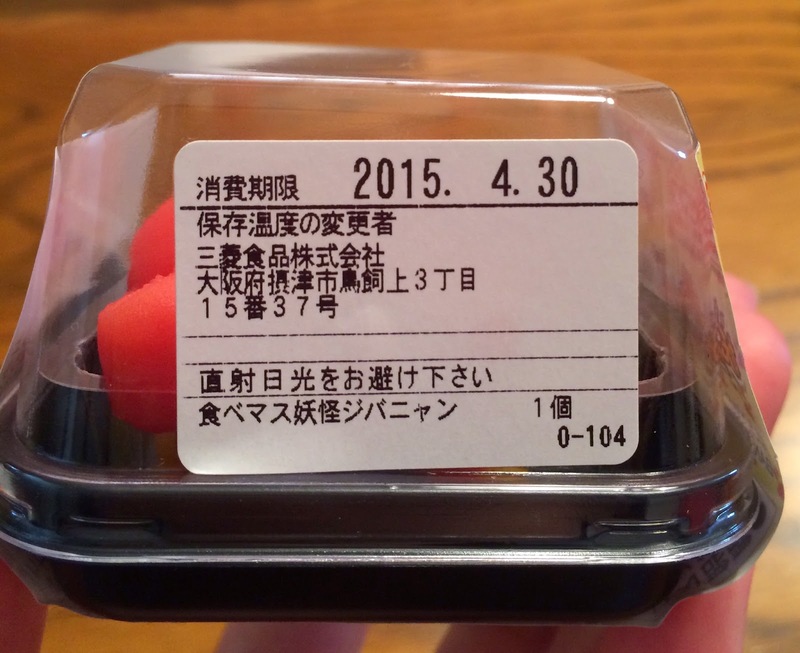 It contains custard flavored bean paste. Over a pale yellow, there're lots of paws in red. I carefully peeled off the sticker and removed the cover. 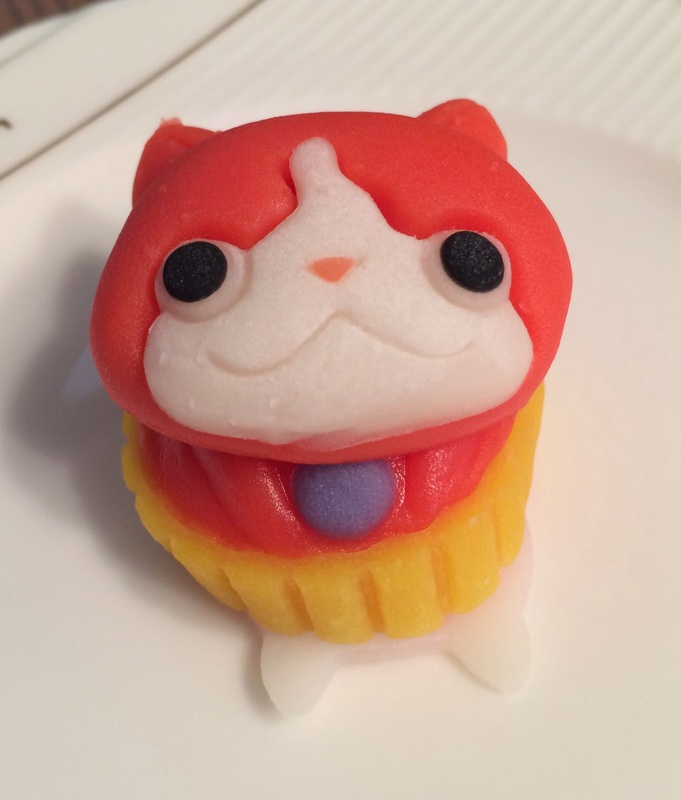 Like Komasan, Jibanyan also had feet at the bottom. It looked like he's holding the bell on his neck. 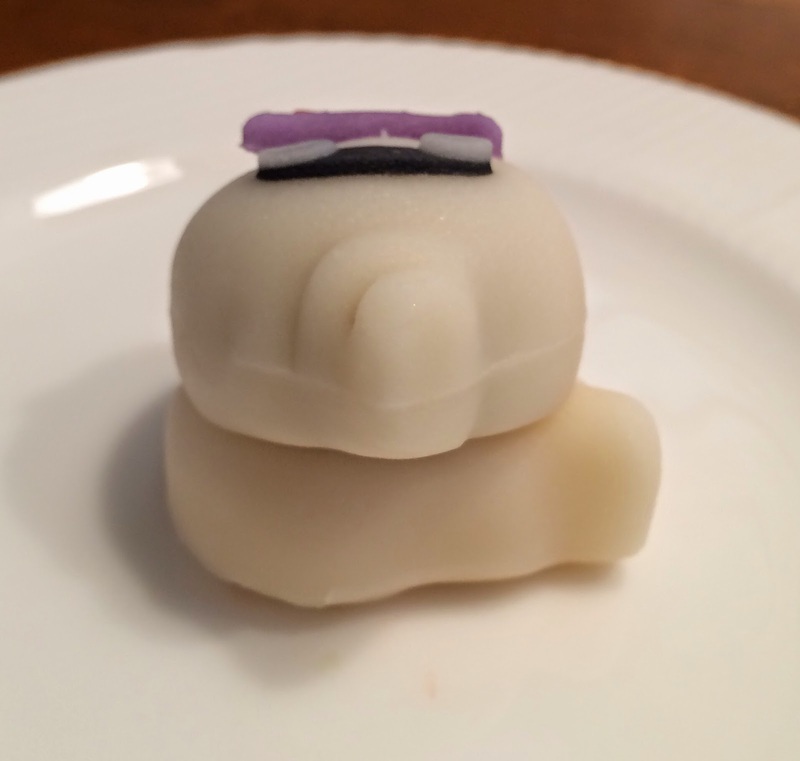 And like an actual character, he's wearing 腹巻き (Haramaki, a belly-warmer tie). If you look at his left ear carefully, you can see there's a little cut. 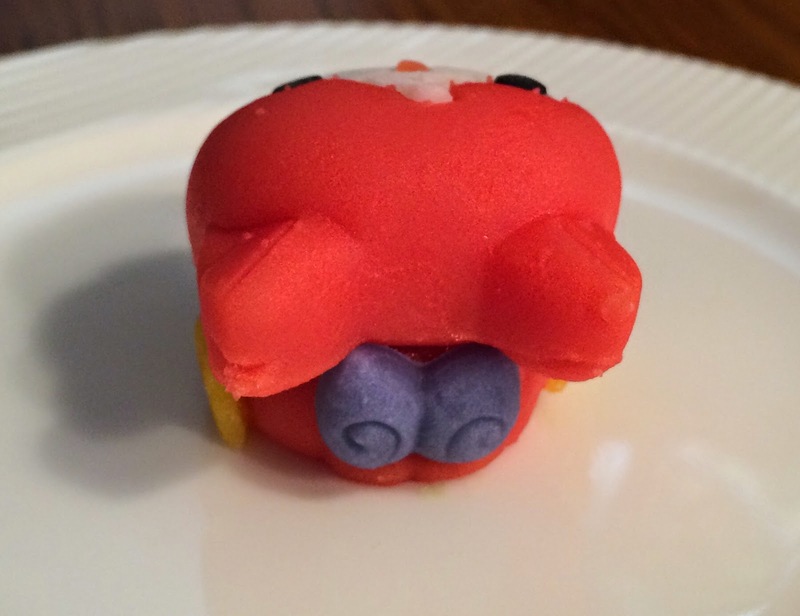 The character has a V-shaped cut in his ear and it's such a faithful reproduction. The blue fires on the tips of his 2 tails were also designed on the back. 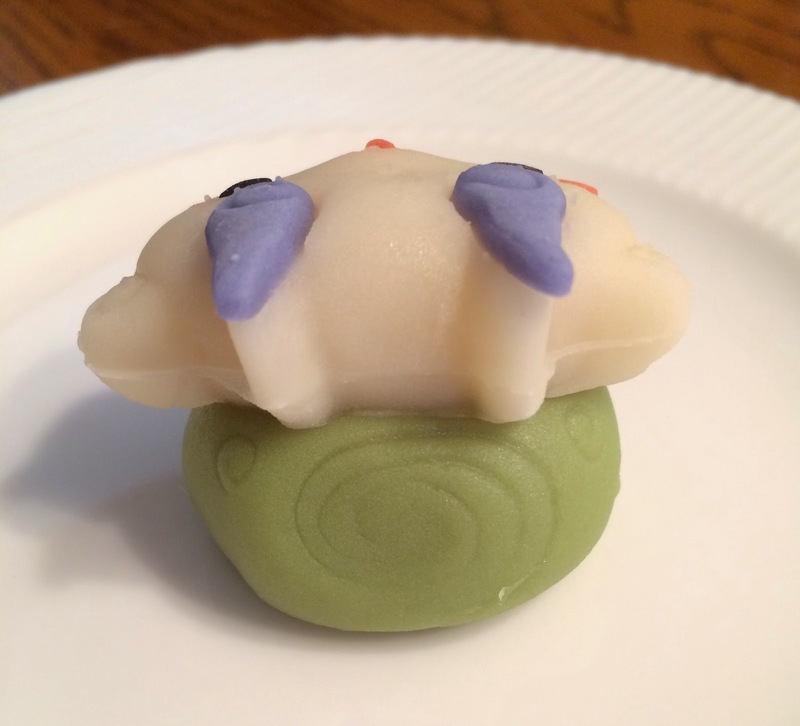 Like Komasan, the head part was only strained sweet bean paste. 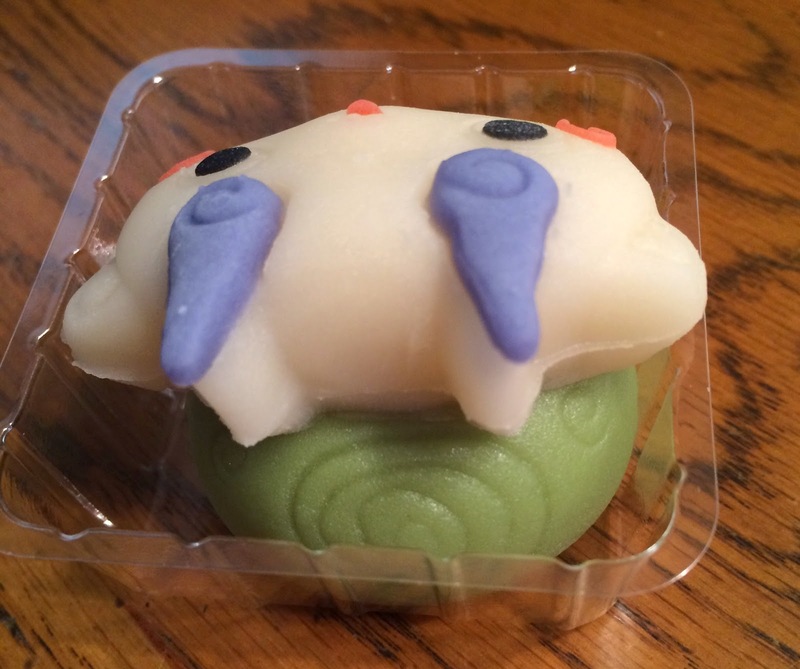 And the body part had custard flavored bean paste. 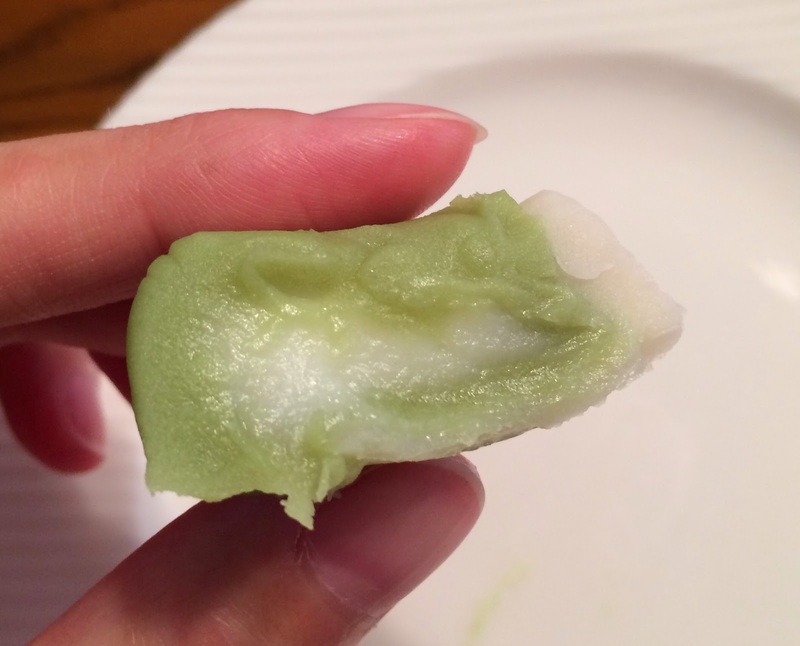 The filling was smooth and had different sweetness from bean paste. Custard flavor wasn't too strong and didn't have much eggy flavor. 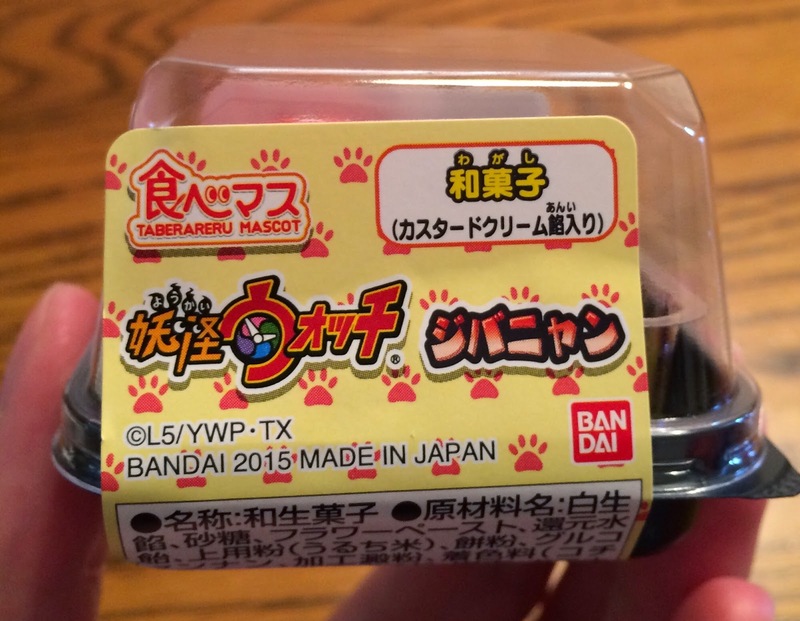 It contains chocolate flavored bean paste. Over purple, there're shadows of Whisper in pale blue. 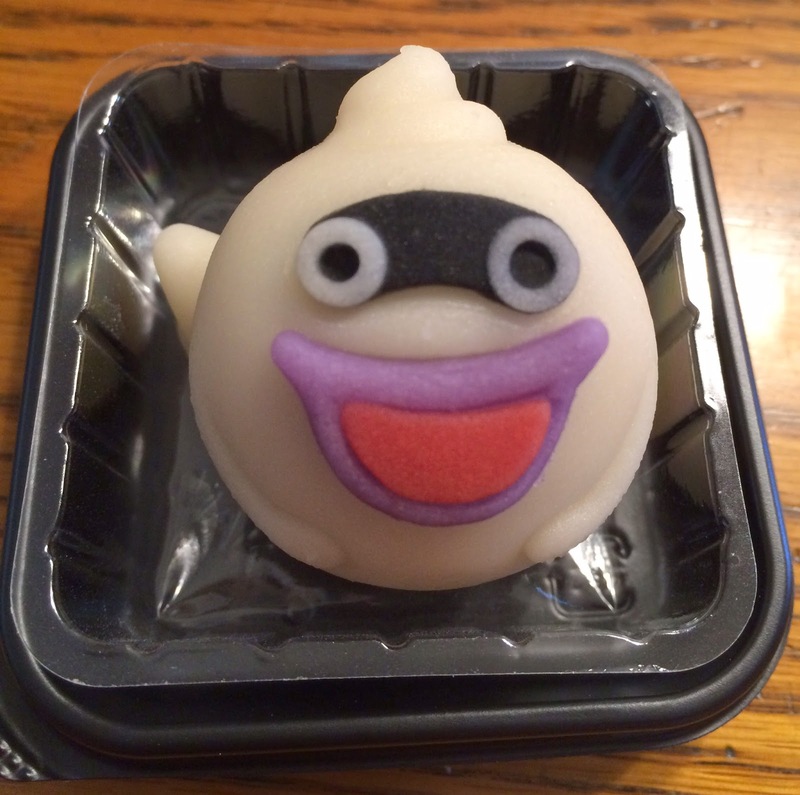 Whisper appeared after I uncovered the lid carefully. 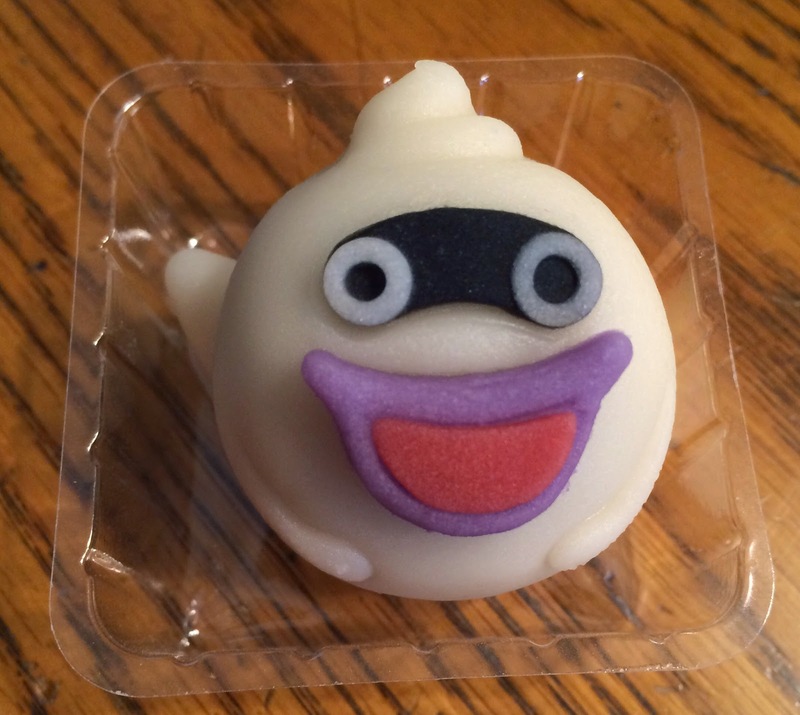 The twisted head of Whisper was truly copied. 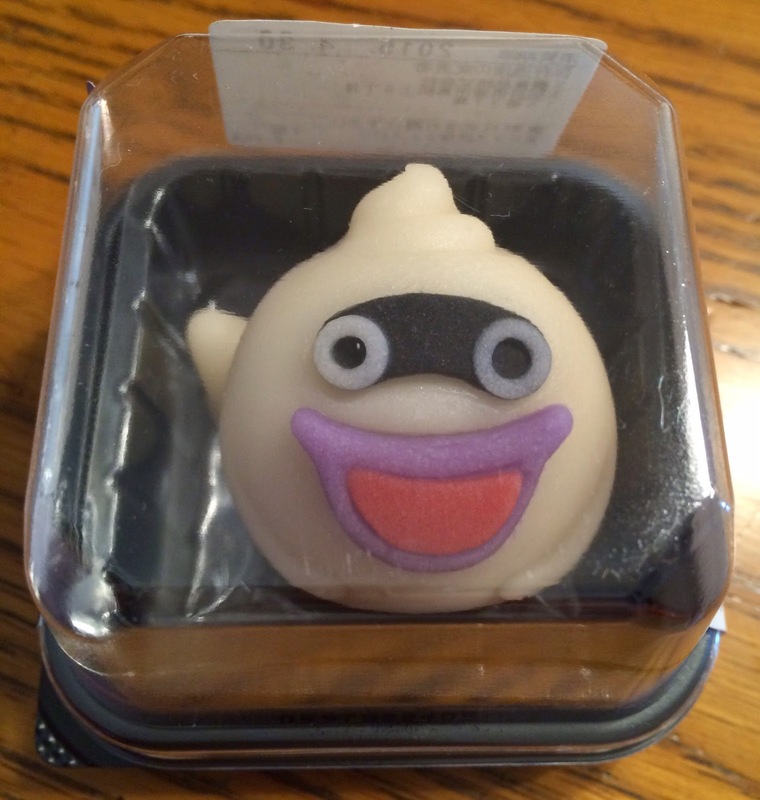 Whisper was rounded and chubby. 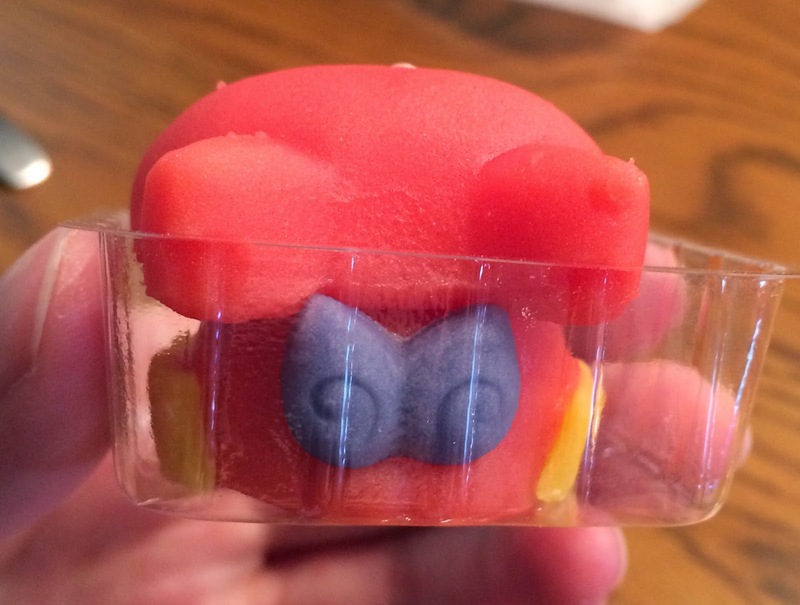 Actual Whisper has blueish lips, but this sweet was purple. 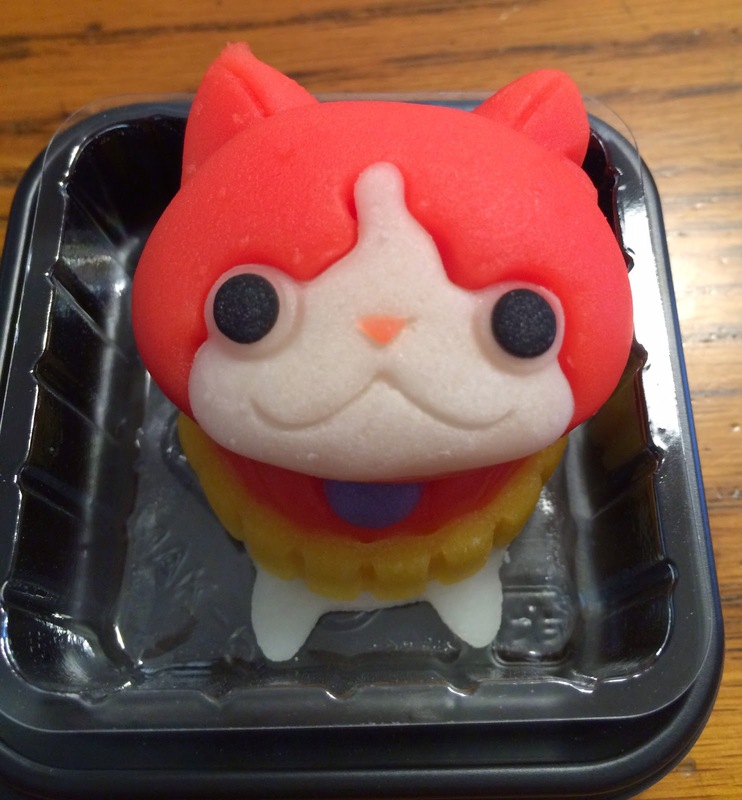 Unlike Komasan and Jibanyan, Whisper had chocolate flavored bean paste in the head, not the body. 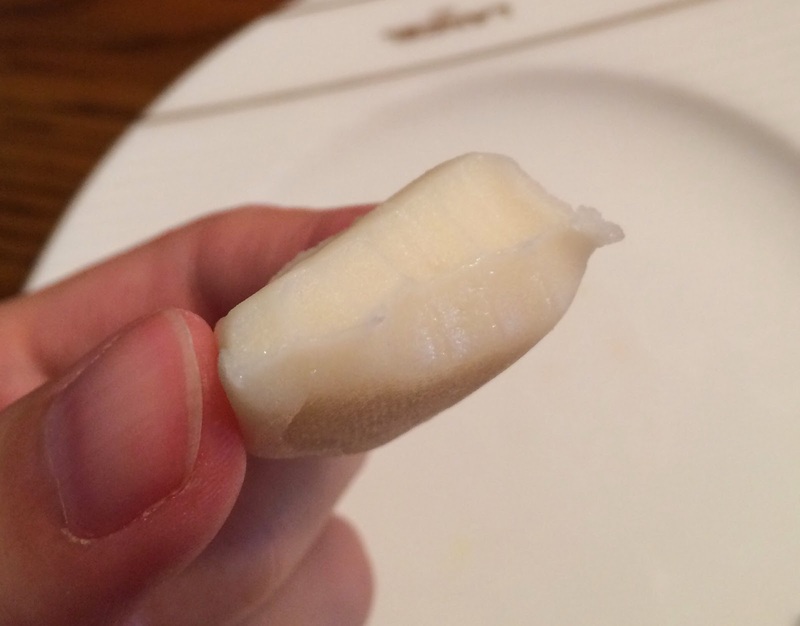 And the body was plain bean paste. 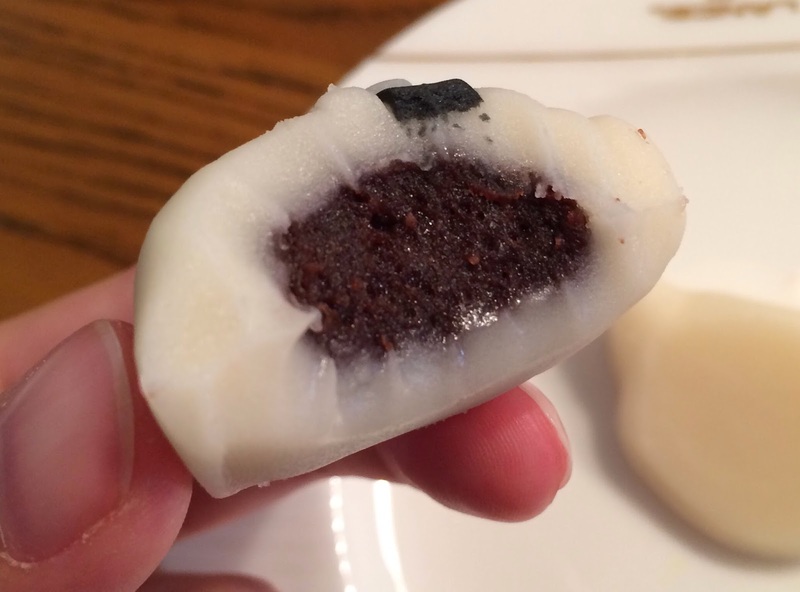 The chocolate filling was bitter, and the sweetness of bean paste and bitterness of the chocolate went well. 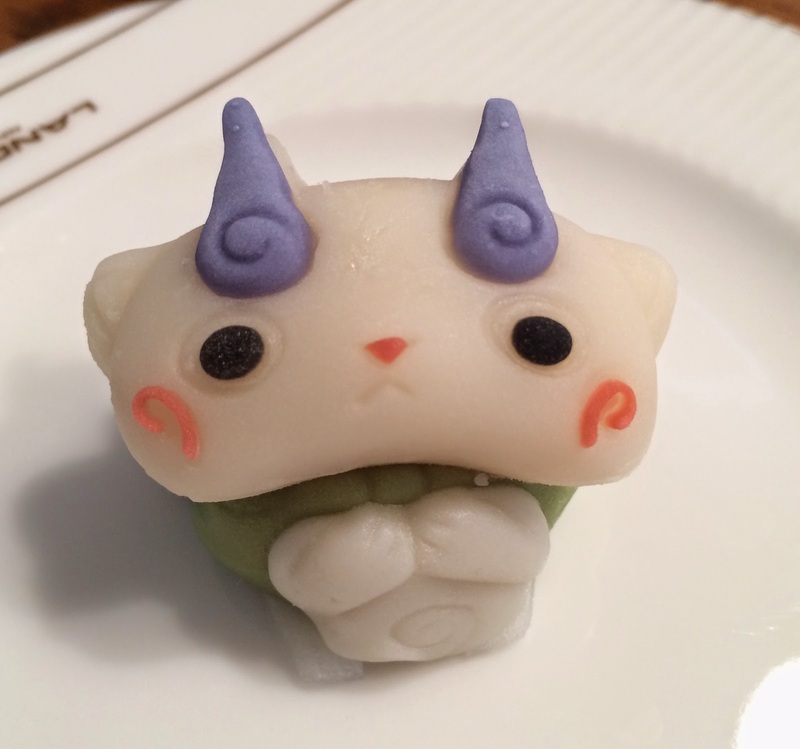 All of them was recreated accurately, except the lips of Whisper and eyebrows of Komasan. 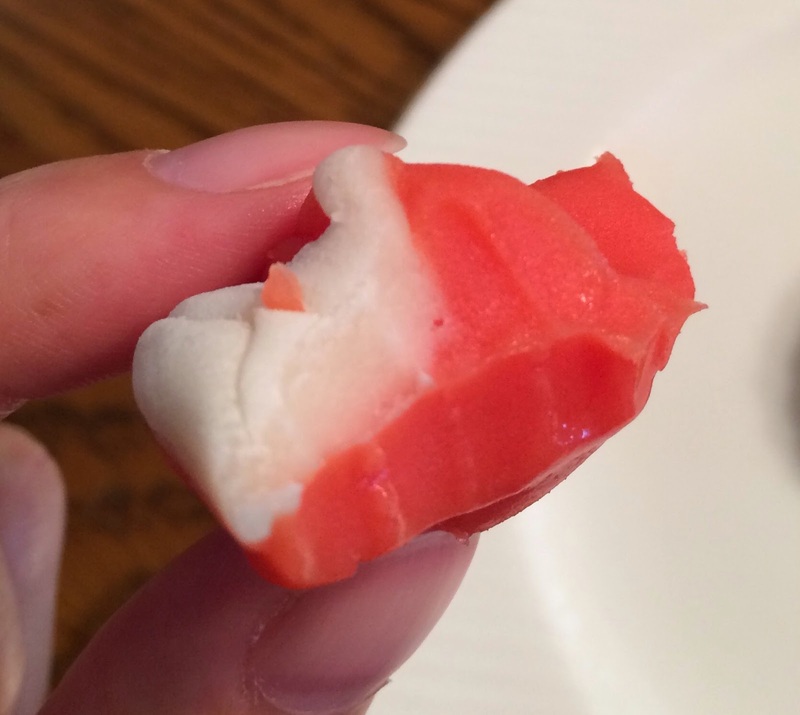 Though each confectionery was small, the price was appropriate given that the quality. 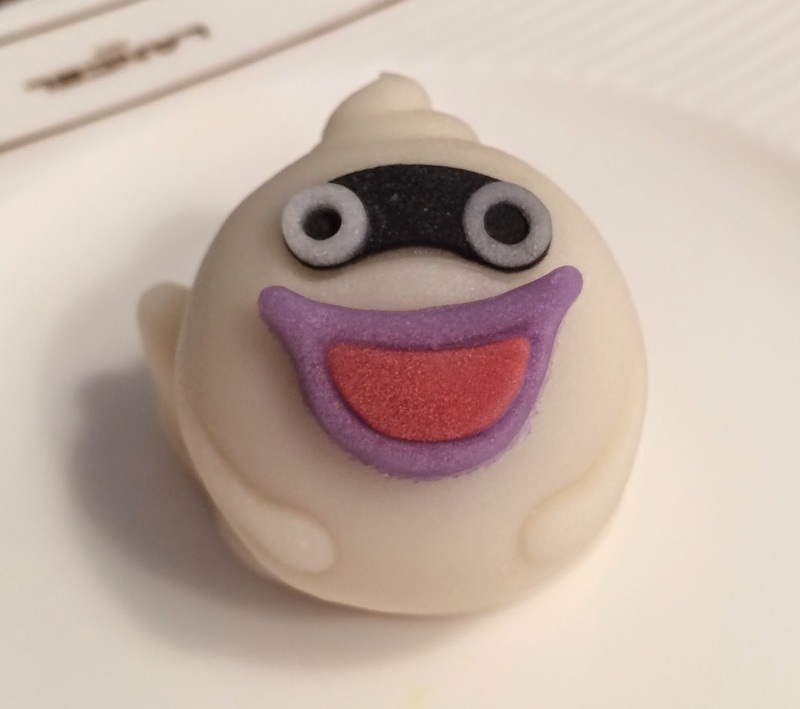 Other reviews of Yo-Kai Watch.